Snap Laundromats are family owned. 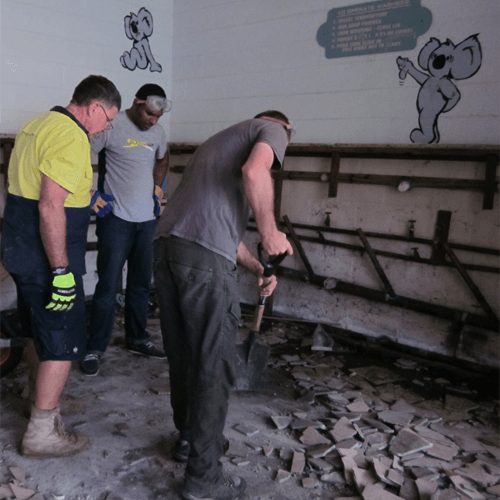 We are locals to Brisbane, and take great pride in our business. Our motto is Fast, Easy & Clean - we strive to ensure our self service laundries offer these ideals to all our customers. We offer first class, internationally renowned brand Dexter Laundry washers & dryers. Together with an automatic detergent dispensing system, free internet WiFi & electronic payments - we embrace technology & innovation to make your laundromat experiences fast & reliable. 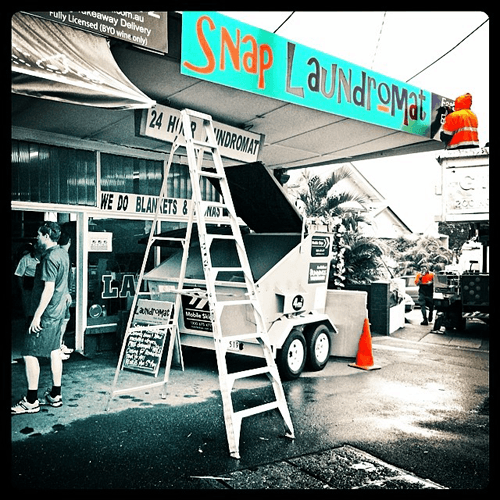 We founded Snap Laundromat at Taringa, renovating the existing laundromat in June 2013. We replaced the ageing equipment with Dexter Laundry machines, and installed an automatic detergent dispensing system. We custom built all the fittings, furniture, floor and signage at Taringa ourselves. Snap is themed with contemporary green and retro orange colours to compliment the brand new, stainless steel washing machines & dryers. Our Taringa store is bright and welcoming; we ensure the entire laundromat is well lit and safe for our night-time customers. 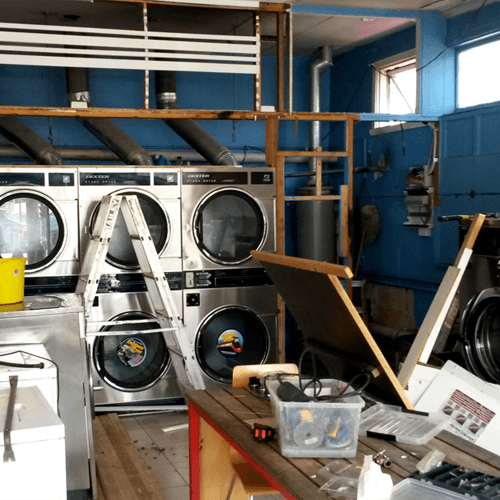 We took over the historical laundromat at Paddington in early 2014. 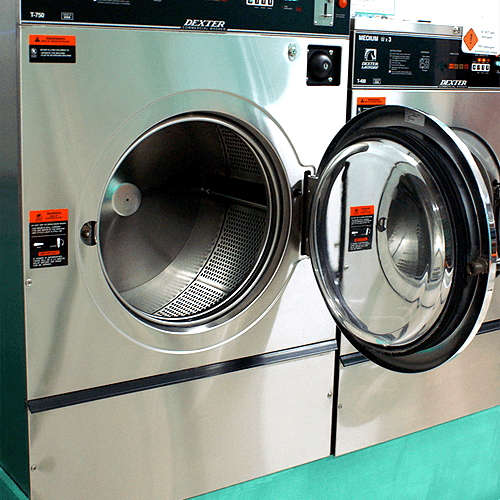 Also with a long term laundromat history, Paddington is fully equipped with Dexter Laundry washing machines and dryers, including a MEGA express washer. We renovated the site ourselves in May 2014, adding new washing machines, express dryers, change machine and detergent dispensing system. 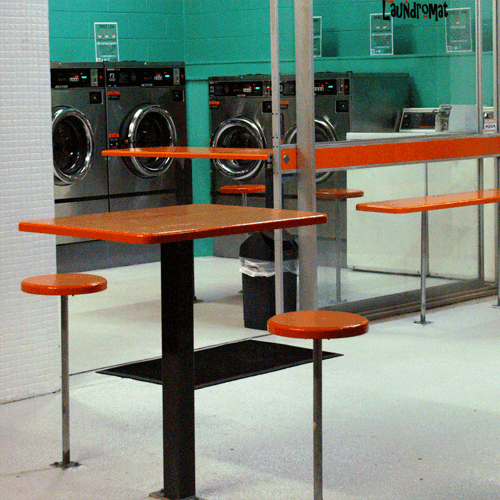 The laundromat has been transformed with new colours, signage, furniture & fitout. The Dexter Laundry washing machines and dryers are world renowned for their quality operation, reliability and stylish stainless steel design. Their environmentally friendly qualities are also extremely important to us; the washers use significantly less water and energy, and the dryers deliver maximum energy efficiency. We are one of the first coin laundromats in Australia that offer electronic payments! 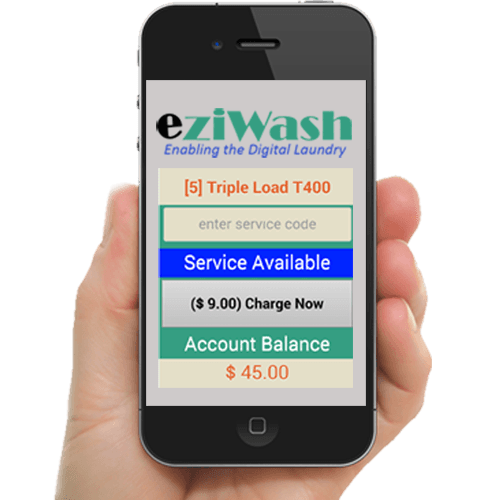 Simply use your smart phone, tablet or laptop to pay and activate the washing machines and dryers using Eziwash. 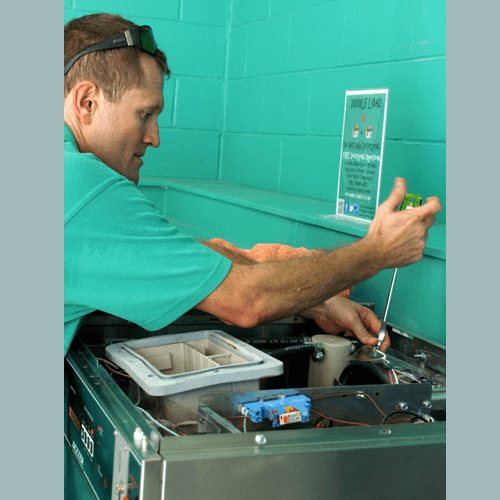 We have a very ‘hands on’ approach to establishing, cleaning and maintaining our Laundromats. We embrace technology & innovation to make laundry experiences easy, safe, relevant and reliable.